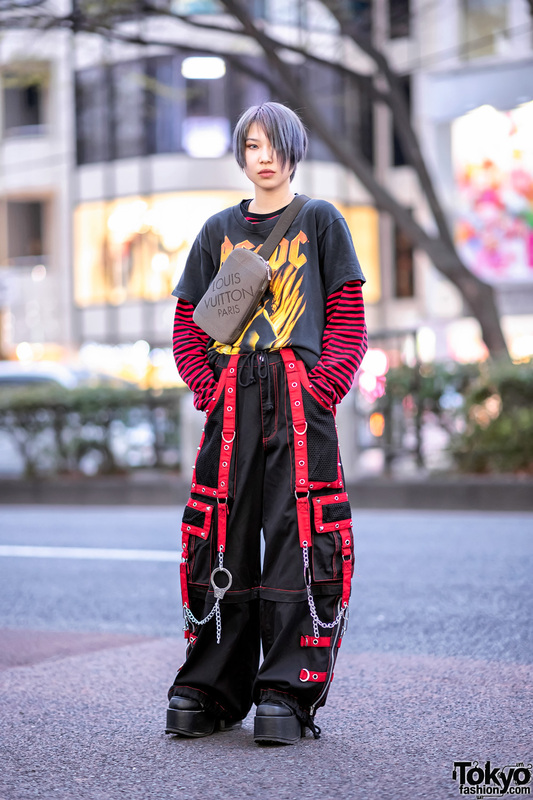 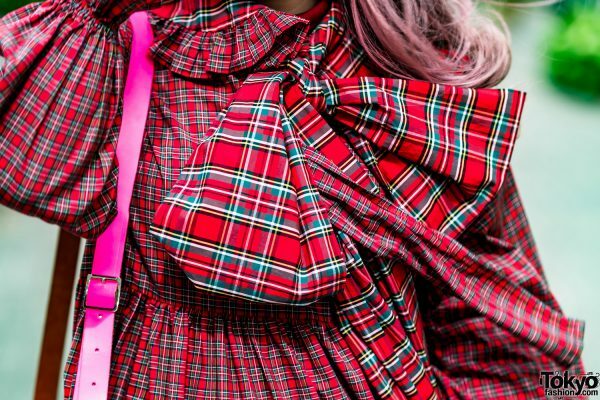 While near Bunka Fashion College in Tokyo, we came upon Maimai, a 21-year-old Kinji Shimokitazawa staffer whose eye-catching plaid outfit stood out and caught our attention. 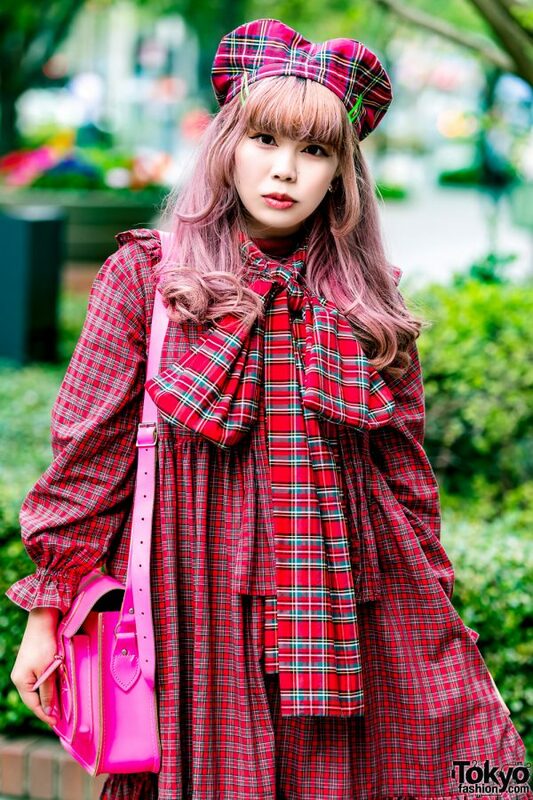 Sporting long pink hair with full bangs, Maimai is dressed in a red Heihei plaid long-sleeved smock dress with ruffled hems, cuffs and collar. 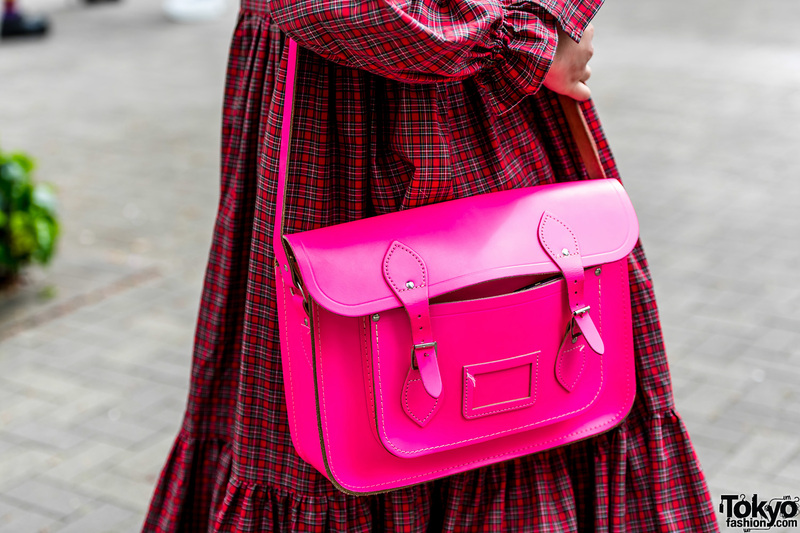 She styled her dress with red tights, black Tokyo Bopper bow shoes, and a pink leather satchel bag with contrast white stitching from The Cambridge Satchel Company. To top off her plaid style, Maimai added a red plaid beret – from Heihei – held by green hair clips, silver hoop earrings, and a plaid scarf artfully tied into a bow around her neck. 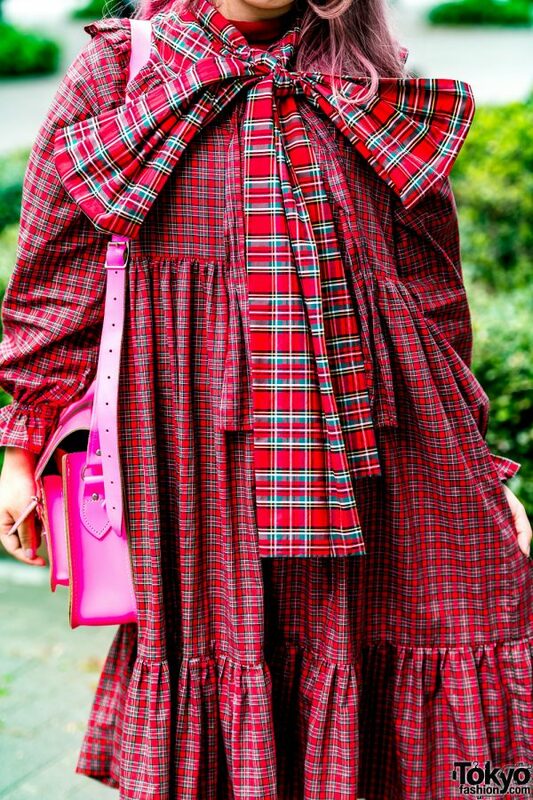 For more of Maimai’s plaid street styles, follow her on Instagram.